A vision for good food for all! This is for anyone involved with food literacy programs in the past, present or possible future. We also welcome you to attend our upcoming event, “A Kitchen Gathering: Convening a Food Literacy Network for Greater Sudbury,” 9:00 to 11:30 am on May 4th at Collège Boréal. Bringing together leaders in food literacy across Greater Sudbury, this event will provide a venue for sharing stories about food and cooking programs operating throughout the city. Participants will hear from a panel of program leaders about how their programs are serving their communities. The panel presentation will be followed by small-group discussions where participants will share their own successes, make connections, and brainstorm about how a Food Literacy Network may help to improve the food skills and food literacy of people in Greater Sudbury. 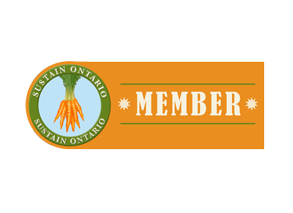 A Kitchen Gathering: Convening a Food Literacy Network for Greater Sudbury will offer ideas to support your programs, links to possible resources, and an opportunity to network with food literacy leaders across the city. Even if you can’t make it out on May 4th, we still want to connect with you! This Kitchen Gathering is just the first step to building an ongoing Food Literacy Network for Greater Sudbury, and there will be more ways to take part in the near future. Please click here to indicate your interest in joining the Food Literacy Network. Categories: Food Literacy Network | Tags: food literacy | Permalink. Friday, May 4th, 2018, 9:00 am to 11:30 am. Au pied du rocher restaurant, College Boreal, 21 Lasalle Blvd. Calling all food skills teachers and cooking program leaders in Greater Sudbury! This “Kitchen Gathering” will bring together leaders in food literacy across Greater Sudbury, to provide a venue for sharing stories about food and cooking programs operating throughout the city. Participants will hear from a panel of program leaders about how their programs are serving their communities. The panel presentations will be followed by small-group discussions where participants will share their own successes, make connections, and brainstorm about how a Food Literacy Network may help to improve the food skills and food literacy of people in Greater Sudbury. Please click here to book your free ticket today on Eventbrite. Following your confirmation, we will send you a short pre-event questionnaire to collect some information about your program. We hope this Kitchen Gathering will offer ideas to support your programs, links to possible resources, as well as an opportunity to network with food literacy leaders across the region. Please register for your free ticket today! Even if you can’t make it out on May 4th, we still want to connect with you! This Kitchen Gathering is just the first step to building an ongoing Food Literacy Network for Greater Sudbury, and there will be more ways to take part in the near future. For now, please click here to indicate your interest in joining the Food Literacy Network, and we will be in touch soon. Categories: Uncategorized | Tags: collective kitchen, community kitchen, food literacy, food skills, food strategy, nutrition | Permalink.